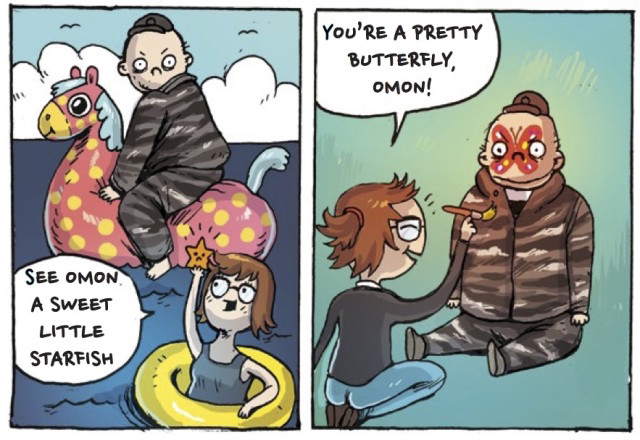 In their comic book travelogue Moscow, Ida Neverdahl and Øystein Runde give themselves free rein. Do I need to explain what this publication is about? Well, OK. Russia’s largest comic book festival, KomMissia, held in Moscow this year, was visited by a contingent of Norwegians, consisting of the comic book writers Ida Neverdahl, Øystein Runde and Torbjørn Lien, headed by Arild Wærness. 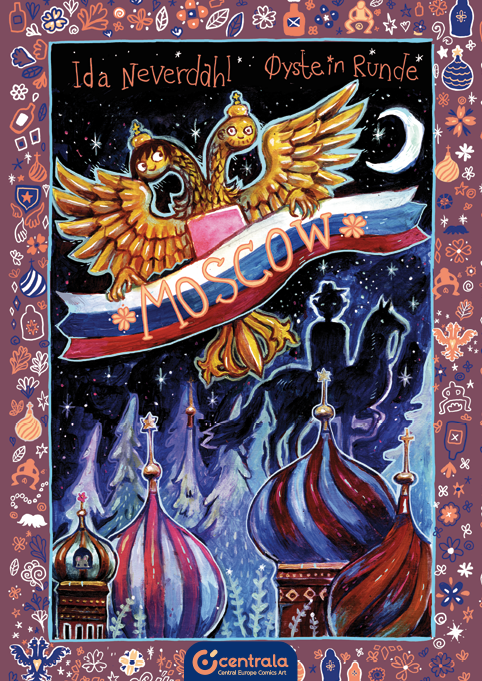 The visit (and particularly the experience of taking part in a modern, Russian 1st of May demonstration), inspired Neverdahl and Runde to make a comic book about the trip and it was launched with panache last weekend. But perhaps equally important is the fact that Neverdahl and Runde glide more or less seamlessly over into each other in this book. That is surprising to say the least, particularly since the differences are conspicuous enough … For one thing, the two of them have very different priorities. Whilst Ida draws whatever comes to mind, and mostly lets her imagination run riot, Runde is more down-to-earth, making it clear that he is extremely interested in the political scene. The conversation with the guide “Anna” during the 1st of May demonstration, which Runde repeats, makes this more than evident. On the other hand, they move toward each other’s drawing style. Well, in fact, Øystein draws closer to Ida, than vice versa. Ida has her own distinctive style (manga-inspired naïve art? ), and it would be a pity if she compromised it. Øystein draws himself in much more detail than Ida does, but apart from that it isn’t immediately clear to detect who is who, and what is what, from one artist to the other. Since the duo are in complete agreement in their satire on Putin, that also contributes considerably to the positive overall impression. 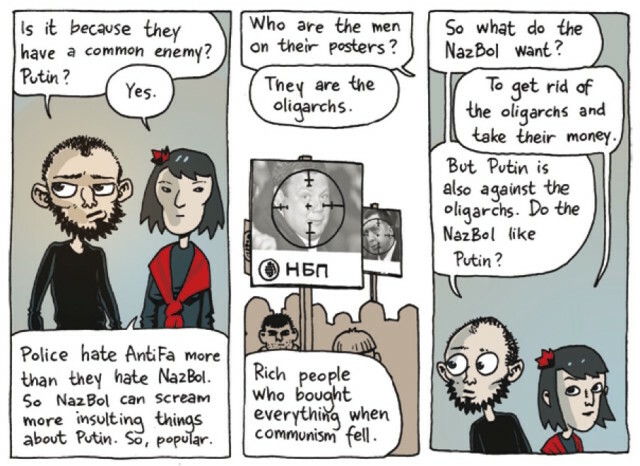 Moscow is one of this year’s most original, funny and reflective Norwegian comic books. In addition it confirms an earlier impression that Ida Neverdahl is a comic book writer with a great future.